Over a month ago we returned from a bit of travel and are only now getting around to posting about it. Apologies for the delayed report but better late than never. Many PublicAdCampaign readers are familiar with a secondary project we are working on called Re+Public. Its a collaboration 3 years in the making with our friends over at The Heavy Projects. You can visit our website [HERE] but long story short it is an investigation into Augmented Reality as a tool for public space media creation, and curation. At a point in the not too distant future, many of us will be wearing smart glasses and other forms of heads up displays. These wearable smart phones will allow a level of digital overlay onto our daily lives that will have drastic effects on the way we experience public space. While there are arguments for and against this technology, heads up displays will be ubiquitous wether you like it or not. 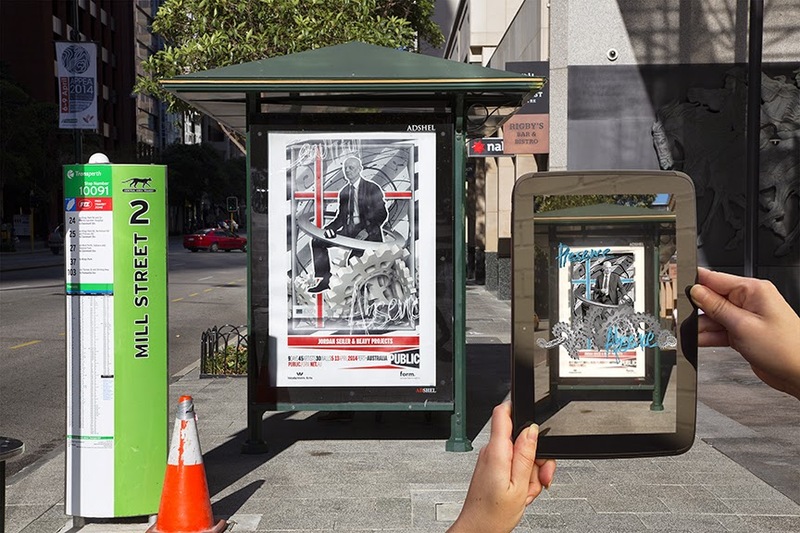 The upside, and reason for our initial interest in AR, is that you may one day be able to digitally opt out of outdoor advertising signage by simply running a digital ad blocking app. 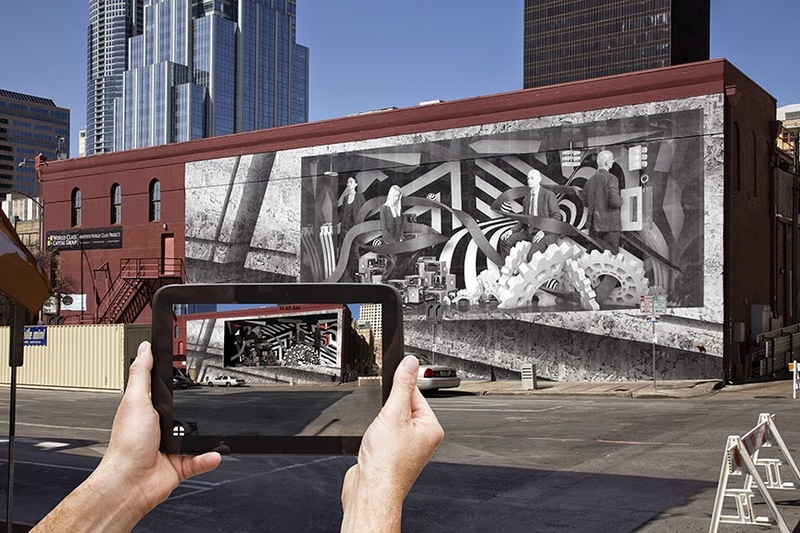 With this core interest in mind, we began exploring AR's capabilities several years ago by helping other artists create digital interactive components to thier physical 2d murals. 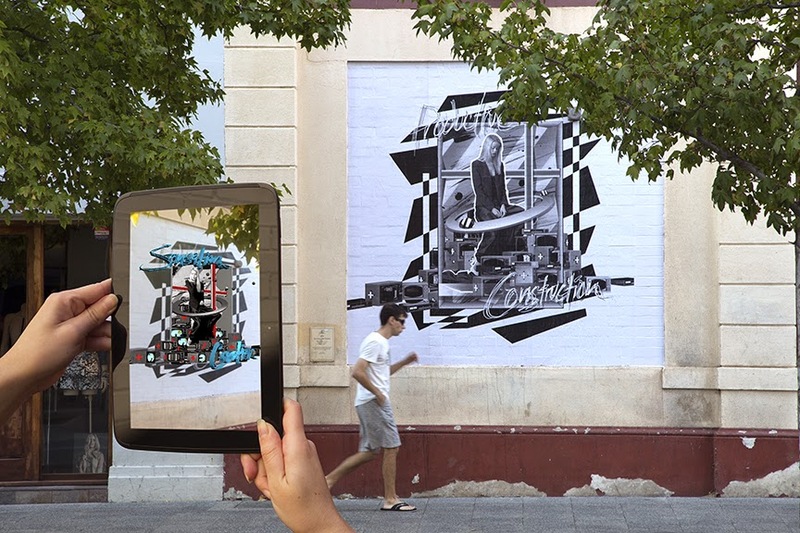 This was a way for us to familiarize ourselves with the unique capabilities of AR, its ability to integrate into the 3d environment, use interactivity and data collection to engage the user, turn static imagery into time based narrative media, and leap into the past through historical digital overlays. 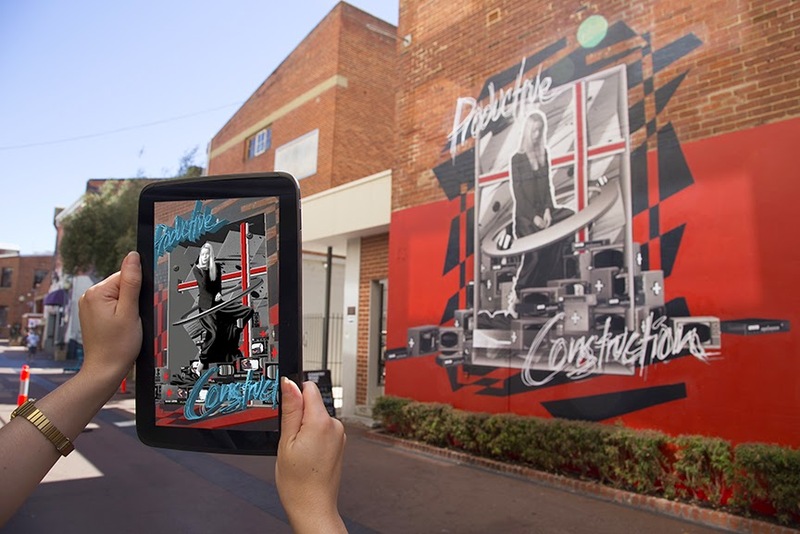 Recently we were asked to take those skills and apply them to two murals of our own design in Austin Texas, and Perth, Western Australia. While these explorations do not constitute anti-advertising work, nor do they challenge ideas about who has access to our shared media environment, they are part of a process of investigation which will bring this technology to bear on those core PublicAdCampaign interests. 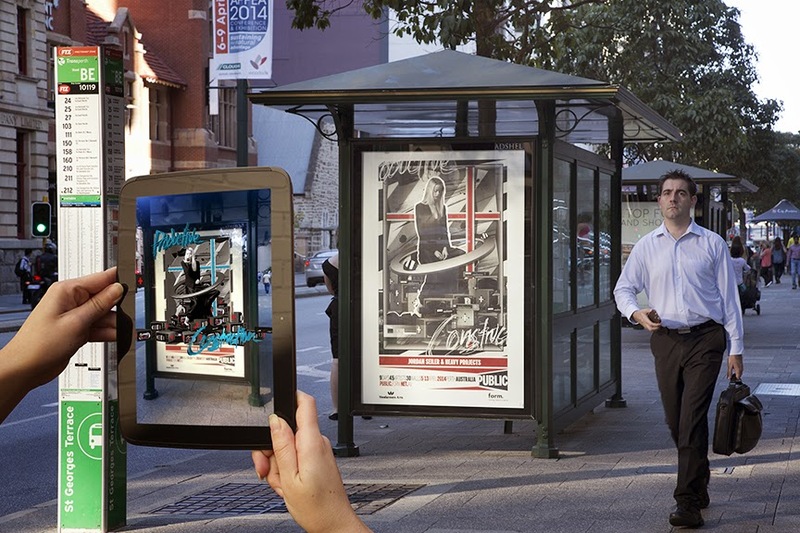 We hope to bring you news of new AR anti-advertising initiatives soon. Until then enjoy the pretty pictures. We had a blast! The PUBLIC festival in Perth was run by Form and it looks like it will be an ongoing yearly event considering the fantastic response from local residents. Form essentially invited 50 Australian and international street artists and muralists, to paint downtown Perth over the course of 2 weeks. Satellite projects in the Pilabra, with inner city youth, as well as parties and gallery exhibitions rounded out a packed program that got the city talking about art and culture's role in developing a healthy vibrant city of the future. It was exciting to see new digital media creeping into what would normally be more traditional mural arts programming. We can't thank Form enough for having the vision and gumption to invite the Re+Public team. This year we were also invited to SXSW interactive to do a enormous wheat pasted mural measuring 84'x34'. This was our first real foray into mural making at this scale and we were excited that we got the thing on the wall, let alone that the locals seemed to like it. A big thanks to the IEEE, and Qualcomm for helping to offset the cost of this murals production. Expect a new Re+Public mural in NYC come mid September. Until then we will keep you posted about less frivolous endeavors with Augmented Reality as soon as we can.